Another long-time PokerStars player has reminded us that he’s out there. ‘S 18’ (his pithy user name gives you a hint of when he signed up) has been playing on PokerStars for over ten years. A couple of days ago he made the final table of Event #42 ($320 HORSE) for $6k. 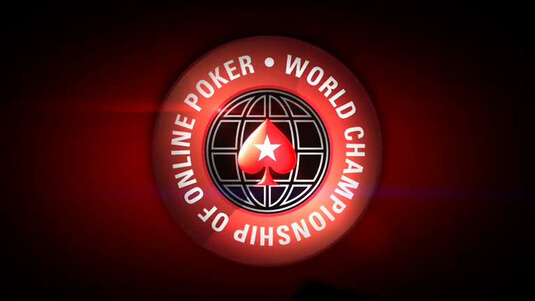 Ben ‘milkybarkid’ Grundy (UK), just landed a WCOOP bracelet in his speciality game – PLO. He took down Event #46 ($320 5-card PLO 6-max), winning $41k as part of a three-way deal. ‘Eversti78’ (Finland) actually got the most money out of the deal – $46k. Ireland, which hasn’t figured prominently up to now in WCOOP 2013, came roaring to life with a 1-2 finish in Event #47 ($320 NL Hold’em, 3x chance). ‘gavonater’ and ‘BIGMICKG’ were willing to let ‘FaNjkEEE’ (Ukraine) be part of a three-way deal, but the two Irishmen got the most money (over $105k each) and then ‘gavonater’ took the bracelet and $117k. Another country has claimed its first ever WCOOP bracelet. After Turkey’s ‘phaplap’ won Event #37, ‘forhelviti’, from the Faroe Islands (part of Scandinavia, actually) won Event #49 ($320 Mixed NL Hold’em / PLO) for $56k. Again, we love sending WCOOP bracelets to countries they’ve never been to. The WCOOP leader board continues to show ‘-rebus1980-‘ at the top, but ‘Sykoen’ from Norway is now his closest rival, after ‘WithoutNickk’ dropped to third. It’s great to see that seven countries are represented in the top ten spots on the leader board – this is truly a “world” championship.